Showtime brings the history of Broadway musicals to life in a narrative as engaging as the subject itself. Beginning with the scandalous Astor Place Opera House riot of 1849, Larry Stempel traces the growth of musicals from minstrel shows and burlesques, through the golden age of Show Boat and Oklahoma , to such groundbreaking works as Company and Rent. 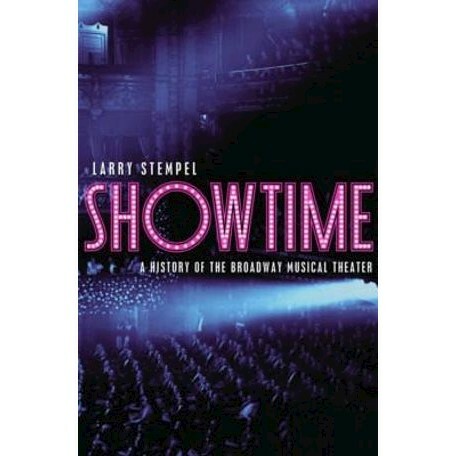 Through each stage of its development, Stempel describes the Broadway stage with vivid accounts of the performers drawn to it, and detailed portraits of the creators who wrote the music, lyrics, and stories for its shows, both beloved and less well known. But Stempel travels outside the theater doors as well, to illuminate the wider world of musical theater as a living genre shaped by the forces of American history and culture. He reveals not only how musicals entertain their audiences but also how they serve as barometers of social concerns and bearers of cultural values. Showtime is the culmination of decades of painstaking research on a genre whose forms have changed over the course of two centuries. In covering the expansive subject before him, Stempel combines original research--including a kaleidoscope of primary sources and archival holdings--with deft and insightful analysis. The result is nothing short of the most comprehensive, authoritative history of the Broadway musical yet published.